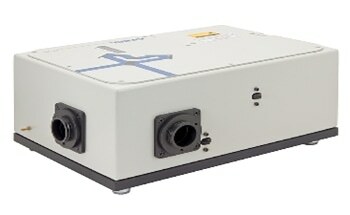 Oriel offers the APEX2-XE illumination system which utilizes a highly efficient 100 Watt Xenon light source to deliver a cost-effective solution for both scientific and industrial applications. 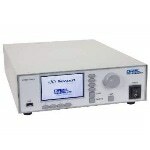 The APEX2-XE is specifically designed for applications where simple turn-key operation and portability is critical. 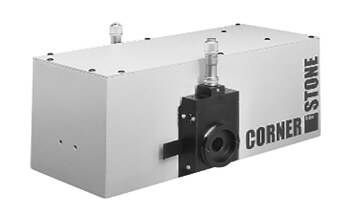 The APEX2-XE system features an integrated six-position filter wheel which can be manually controlled, computer-controlled via USB 2.0, or via the MS257 series and Cornerstone series monochromators. 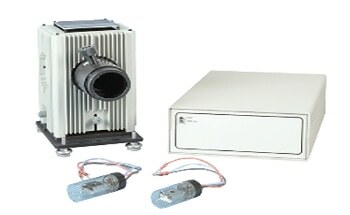 An easily accessible manual shutter has also been integrated into the design to provide complete light blockage and to eliminate the need of powering down the light source when adjusting the experimental setup. 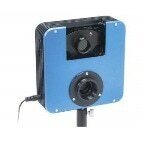 Additionally, the “adjustment-free,” drop-in lamp design minimizes the effort of replacing bulbs. 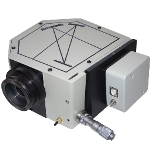 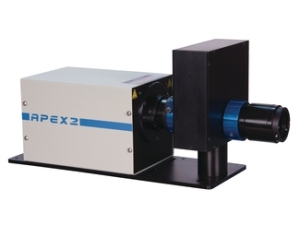 Also available in the series is model APEX2-QTH, offering a smooth VIS-NIR spectral output source.